Not far to the north-east of Arnhem and very near to Middachten, the Castle of Rhederoord can be found. It has beautiful forests wich are part of the great forested area of the Veluwe, the largest area of forests and moorlands in the Netherlands, in total some 250.000 acres. In the Parc around Rhederoord there are quite a few nice old trees, partly over 200 years old. Here an overview with the house and a beautiful oak. From the house, wich lies on a hill-side, there is a good view over the valley of the river IJssel and beyond. Among the trees of Rhederoord are some of the most beautiful Giant - Sequoia-groups of Holland, planted around 1870, 39 m (128 feet) tall and up to 6,4m (21 feet) circumference. 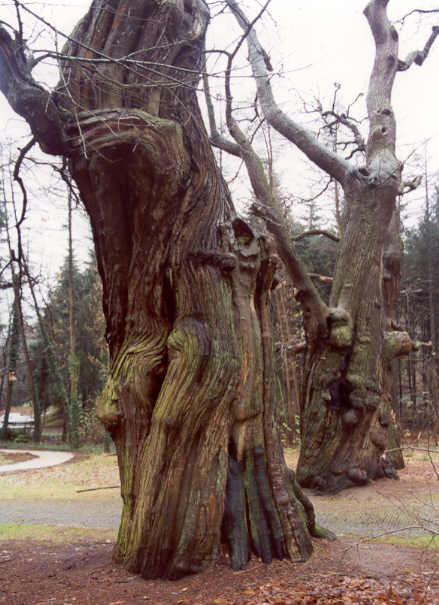 In Arnhem, near the Castle of Zijpendaal, in the parc of Gulden Bodem, stand these ancient gnarled Sweet Chestnuts ( Castanea sativa ) . The biggest one has a circumference of 7,4 m ( 24� feet). 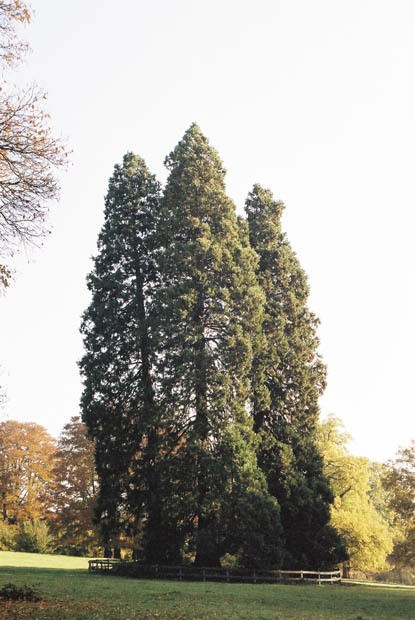 This tree-species seems to be introduced in Holland by the Romans, and still the older ones are the most common in the areas where the Romans have ruled once. These veterans probably date from the 17th century, so they never will have seen a Roman Soldier. Near Nijmegen are more old Sweet Chestnuts. 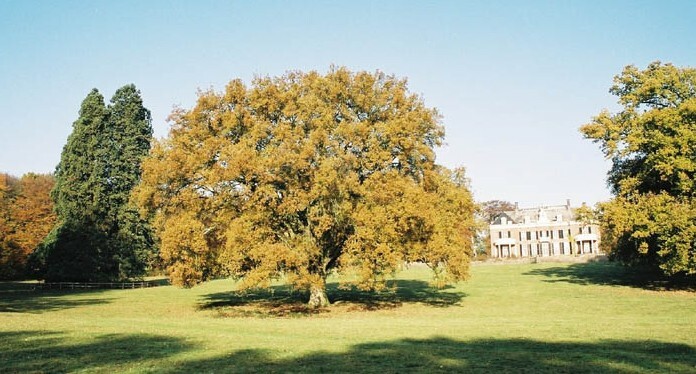 Compared to the UK or Germany, Holland has not many really big, old oaks. Relatively few are above 250 years old. 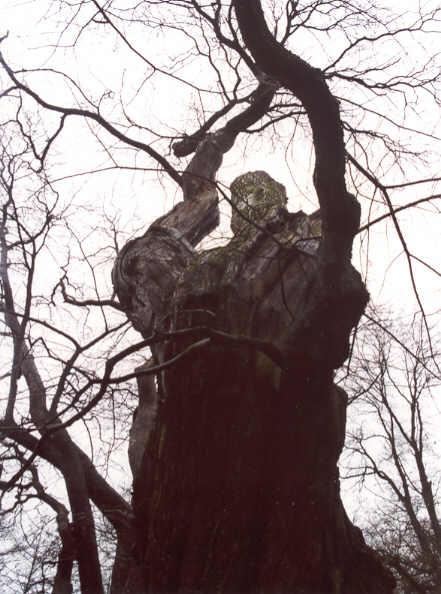 This Common Oak, standing along a small footpath near the Dalweg in Arnhem, belongs to the biggest and most beautiful of the country: it must be between 250 and 300 years old, has an impressive trunk of 6 m ( 20 feet ) girth and a great crown spreading 35 m ( 115 feet ).